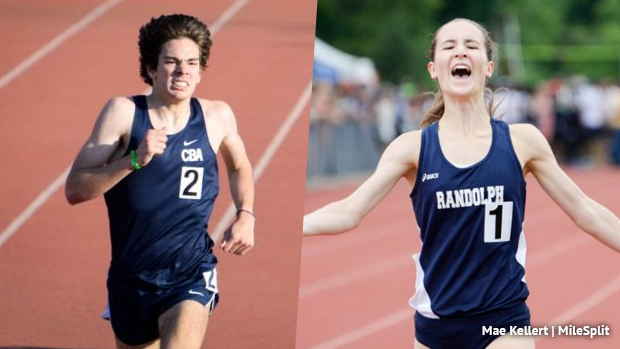 Here are the top 500 returning New Jersey athletes in the 1600m from the 2018 outdoor season. While the below stats show the 1600m times, when you throw mile conversions into the mix Sean Dolan moves to #1 with his 4:08.86 mile run at the adidas Boost Boston Games, he's also the defending national champion from New Balance Nationals Outdoor. Dolan moved up to NJ#4 all-time this past indoor season with a 4:09.55. Tim McInerney of Christian Brothers Academy leads all 1600m times with his 4:10.37 from the Meet of Champions, he is also the top returner from that race as defending champ Drew Maher has graduated. Both McInerney and Dolan rank top five among 800m returners as well. While he isn't on this list from last spring due to injury Will Baginski, the indoor Meet of Champions winner in the 1600m should also be noted. He ran a 4:12.90 this past winter season. For mile conversions included click here.